It’s meant to be our crowning glory. And oh my, we spend money on keeping it shiny. … we spend money on products that are meant to keep it shiny. Because most of them don’t live up to their fancy promises. And after three or four tries, live out the rest of their days clogging up the bathroom cupboard. Now obviously we’re all feel guilty about waste. As we did with food. BUT remember it is already wasted. Sitting in the cupboard unused. We’re don’t cut waste by storing things we never use. AND we are far more likely to use everything up going forward if we only have a few products. Is there anything else on that list that can go? 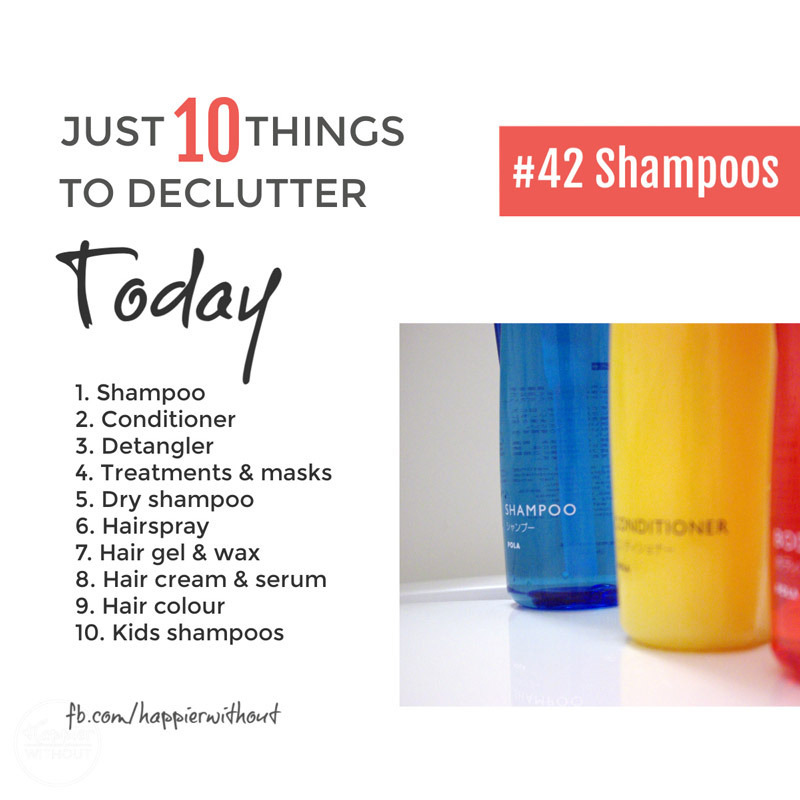 And look how much space you can reclaim just by ditching hair products.